Is Marriage Really Important? How important is marriage? And how important is your own marriage to you? 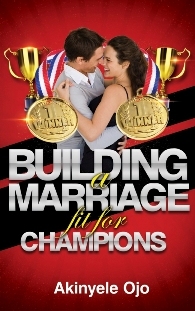 The Marriage for Champions blog is about inspiring us to become champions in our marriages and to build a marriage that we can all enjoy. And today, we stop to ask ourselves this question, is marriage really important and what is all the fuss about. While the differences and the debates continue, most of us agree on one thing – Marriage is a great institution! What makes marriage great? One of the reasons is that marriage is given for us to “know the grace of God” and to give us an insight into the relationship between Christ and his church and the love and commitment he has for it. It is given that as man and woman grow together in love and trust, they shall be united with one another in heart, body and mind, as Christ is united with his bride, the Church. According to christiancourier.com, the grace of God denotes “sweetness”, or “attractiveness”. It signifies “favour”, “goodwill” and “lovingkindness”. These are virtues or attributes that God desires us to exhibit and enjoy in our marriages. So the next time you think about the grace of God and what it means to you, consider how you can demonstrate the grace of God in your marriage! Like every relationship, marriage is meant to grow over time! The husband and wife are expected to grow in love and trust, and become united in heart, body and mind. We should make efforts to make our marriages mirror the relationship between Christ and the church. We should strive to make our marriages demonstrate God’s grace in our lives and the love of Christ for us. I agree with you. 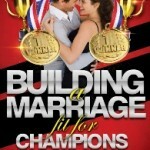 I am a champion for my marriage! One of my goals in life is to leave behind a legacy of a healthy godly marriage. Thanks Kris, your goal and your expectations shall be fulfilled in Jesus Name.